Q/A – When Should You Study Extra? Here is an interesting clarifying question I got in response to an older article about when to study extra. I notice that you mentioned you sometimes put extra time into studying. I always thought studying extra was explicitly ruled out in your study strategy. You say that studying too much will ruin the study time’s effectiveness. Is studying extra allowed on your study strategy? When should a person spend extra time studying? I think my quickest response to your question would be this: You never should study more than your explicitly planned out study time. That doesn’t mean that you should never study more than your explicitly planned out study time. Confusing enough for you? Allow me to elaborate. You have a study plan. Follow that study plan. If you don’t follow that study plan then you have no logical way of figuring out whether or not your study plan is working. That is the fundamental reason you should be following your study plan. 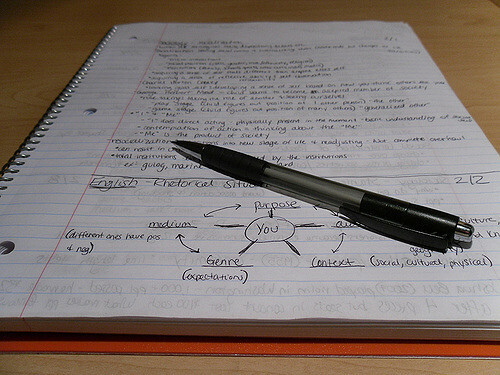 Your study plan will slowly get optimized the more you use it correctly and adjust it. If you never use it correctly then you’ll never get to adjust it. That means it will never be optimized. Studying extra should be taken with caution. There is absolutely nothing wrong with studying about something you’re genuinely trying to understand. If you’re highly motivated and take pleasure from the studying process then studying more may slightly harm your overall routine but, since it’s for pleasure, it’s generally worth it. Here is where the caution comes in. 9 out of 10 “good” students that hear that will hear that and just say they’re genuinely curious as an excuse to never properly follow their study plan. That means the study plan never gets utilized or optimized making those students have to study dramatically more than other students for equal results. Studying extra should only be done when it’s meant for pleasure. At that point, it wouldn’t even hurt to stop referring to it as studying. 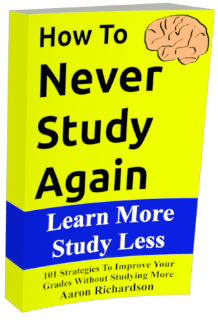 If you never study extra then that should not harm your results with the 15 Minute Study Strategy. If you only study extra for pleasure then that shouldn’t harm your results. If you study for hours and pretend it’s for pleasure when you’d rather be doing something else, your results will suffer. Smart Student Secrets is where you can discover the most advanced strategies for studying today. It’s loaded with tips for improving the way you study (and decreasing the time you need to do it.) It’s the home of the 15 Minute Study Strategy. Be sure to follow and check out the archives to learn more. If you’re looking to learn it even faster then check out the ebooks in the sidebar.